What’s the newly launched Digital Free Trade Zone (DFTZ) all about and how is it important to the e-Commerce industry? SITEC breaks it down for you. What ARE Free Trade Zones anyway? Free-trade zones help to boost imports and exports by cutting down on the usual issues traders and businesses face, such as customs taxation, value added taxes, or goods and services taxes (GST). In a free trade zone, goods that are physically kept in that area are not subjected to the usual taxations that involve customs or additional domestic taxes, thereby easing trade between countries as prohibitive issues such as costs are minimized. But how exactly is this Digital Free Trade Zone special? Firstly, the DFTZ is pretty much the world’s first free trade zone on a digital level – no other country has ever done something like this, so Malaysia is blazing trails! 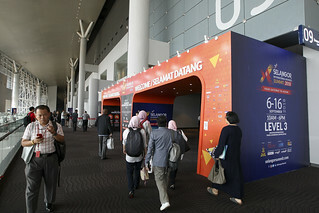 Secondly, this trade zone is designed to specifically boost the growth of e-Commerce, which is itself a substantial part of the nascent multi-billion Digital Economy in the burgeoning digital economy region of Southeast Asia. 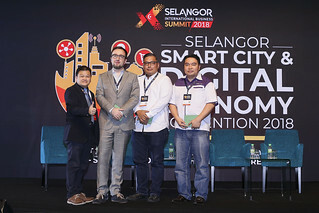 How it does this is to provide a welcoming and conducive environment for both local and regional e-commerce players to access markets outside of their domestic, further facilitating the movement of goods around SEA, through Malaysia as a key ‘port of call’ for trading and business done digitally. Did you know? A 2016 report by Google and Temasek predicts a massive US$ 200B digital economy in SEA by the year 2025, fuelled by the growth of a young regional population, growth of the internet and its services, growth of internet users, a rapidly growing middle class, and a lack of organised retail. Within the SEA region, the total first-hand eCommerce market is expected to reach ~US$ 88B by 2025; significantly outpacing the growth of offline retail (32% vs. 7% 10-year CAGR) with a potential to reach ~$120 billion. So… What’s in this DFTZ? The DFTZ consists of three main components that combine both physical and virtual zones. The physical zone comprises of the eFulfillment Hub and Satellite Services Hub while the virtual zone consists of the eServices Platform. The 17.5ha e-fulfillment hub by Alibaba Group, Cainiao, Lazada and POS Malaysia, located in KLIA should expedite the import and export process for e-traders around the region as it will be both a warehousing & fulfillment centre, as well as a centralised customs checkpoint. Some of the features incorporated include state of the art warehouses with sorting, shelving and pick-pack facilities; – LIU (Light Industrial Units) to allow for minor repair, assembly prior to shipping goods; a customs inspection & quarantine area; and facilities such as secure warehouses, temperature controlled storage and more. This phase is expected to be rolled out before the end 2017, with the formal launch of Alibaba’s facility at the end of 2019. The other physical feature planned is the 500,000 sqft Satellite Service Hub in the Kuala Lumpur Internet City (KLIC). Based in Bandar Malaysia, it will be developed by Catcha Group with a GDV of approx US 1.1B. Expected to be ready by 2019, some of the facilities include office and co-working spaces, O2O (offline to online) showrooms, MICE facilities, eco-friendly buildings and other community-centric amenities. Virtual services supports movement of goods within DFTZ by offering integrated, streamlined and efficient services for DFTZ users. The development of the virtual thrust includes the establishment of a unified government services platform, with integrated digital eServices platforms to access leading global service providers. Global logistics and fulfillment service providers will also be there to further provide convenient services for users. Readers should also note that the taxation cap on goods traded via e-commerce has been increased to RM 1,200, up from the previous RM 500, but only if it is in the DFTZ, which should suitably entice more cross-border importation activity. 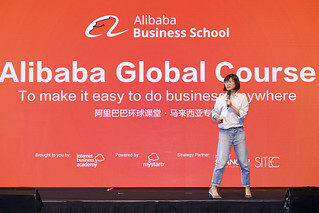 The Alibaba OneTouch e-services platform is a huge boon for players as well as it allows users in the DFTZ to be directly connected to Alibaba’s HQ in Hangzhou. The OneTouch platform digitizes various logistics and operational procedures such as customs clearances, finance and forex, allowing traders to better focus resources on marketing and selling instead of the day to day drudgery of operations.